Just got a note from Terry Zobeck commenting on the auction of Hammett titles from the library of Otto Penzler. “I’m not surprised it beat out the Falcon. As it is his first book there are fewer copies out there, especially in that condition, than the Falcon. “I have copies of about everything that Otto had up for sale (including a Pru Whitfield letter), except for the UK editions, but not in that condition (I only have The Glass Key in jacket and it has an ugly chip out of the front panel). Evan Lewis, my de facto reporter on the ground for news of the auction of books from the Otto Penzler collection — which is to say, I’m never going to bother to follow something like that, whereas Evan is covering it like skin on his blog — just featured the results for the Hammett titles that were on the block. Not bad. Red Harvest the high ticket at $75,000. And even though some people don’t think paperbacks are “real books” the Spivak of Blood Money, a.k.a. The Big Knockover, with a gift inscription to Lillian Hellman brought in $12,500. Over twelve thou sounds like real book money to me. Had another review pop to life. If you want to surf over and give it the old gander, feel free. I figure this one, more or less, is maybe 80% of what I sent in/intended. The intro by Lawrence Block, which I didn’t even try to get into in the restricted word count of the review, is pretty weird. Starts off talking about I Love Lucy and meanders over into blurbing the Akashic Press City Noir series (which Block has contributed to, of course), along the way maybe trying to draw (it’s hard to tell) a fine (very fine) distinction between lit that is noir and lit that is dark. Yeah, you know, one is noir and the other one is, I guess, dark. Bits cut: I gave the James Reasoner story a one line blurb (“The prolific James Reasoner provides a Western novel in miniature with ‘Night Rounds.’”), but that’s easy to cut if you’re fitting it all into a certain word count. I was surprised that my ref to Joyce Carol Oates hit the cutting room floor. I figured she’d be a name to conjure with. . . . Apparently a large chunk out of Otto Penzler’s personal collection is going on the block over the next year or two. I know this news because A) it is public information, no black cats out of the bag or anything, and B) mostly because Evan Lewis has been going nuts blogging about this group of titles or that. He wants them all and can afford none. I can sympathize. Still, one can look them over and drool for awhile, I suppose. Evan started off with the first edition Race Williams novels, then did some Hammett, some Chandler, some first edition Sherlock Holmes — plus complete runs of the Sherlock books as they appeared earlier in The Strand magazine. . . .
Then some more Hammett. . . .
Could link to each and every one, or just to the auction house, but how about the Hammett set with an inscription to Lillian Hellman in a paperback, plus the rest of the Dannay edits , a couple of letters to Pru Whitfield. Evan will tell you about the auction house. As I was saying, every few years now I bump into Alan Gullette, most recently a couple of weeks ago. Don’t know how many years had passed between that encounter and the previous one. But that’s the reason I’m aware that today is the anniversary of the birth of Arthur Machen, 156 years back. Alan is Getting Out of Dodge — or the Bay Area, depending on how you look at it — like so many others and wanted to lighten his load by selling off a few things from his library. I went up and helped out, mostly picking up items I could have gotten along the way but never did. A book by William Hope Hodgson. A set of Clark Ashton Smith otherwise still in print, but I’d never bothered to place the order. Mostly, though, I added to my Machen shelves, which is why the Welsh mystic’s birthday intrudes on my awareness. 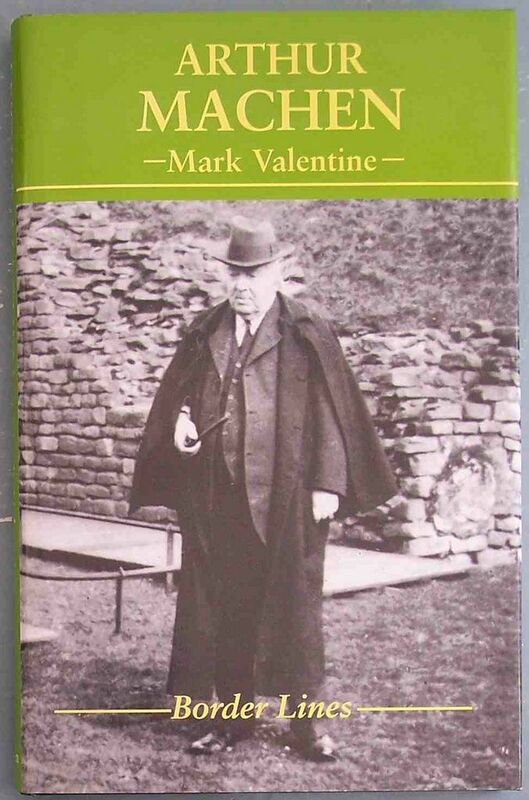 Kept seeing it in one item or another, realized, wait just a minute here. . . .
Nabbed the biography by Mark Valentine, another book I hadn’t gotten to yet — but I have a lot of the books about Machen, even Arthur Machen: Weaver of Fantasy by William Francis Gekle, Round Table Press, 1949. Might as well have another. The Valentine you can find lots of copies on sale, if for hefty metal. The Gekle, not so much. Think I also cleaned out Alan’s supply of the journal Faunus from several years of a membership in the Friends of Arthur Machen club, and now I’m thinking, maybe I should join FoAM myself. And maybe I’ll get around to it. He had a copy of the Knopf yellowback of The House of Souls, a second printing from August 1922. Grabbed that one — I already have a copy (first printing May 1922; I figure I’ll keep both, since the endpapers on the first are plain and on the second decorated, as the Knopf firm began to realize they had something going on with Machen titles). I’ve had my original copy since circa 1974 or 75, at least, but reading along in it discovered that two sheets (pp271/272 & pp 273/274) were missing. I doubt the bookseller even noticed, and as I recall, it was cheap. In St. Paul, Minnesota I used Richard L. Tierney’s copy to make Xerox inserts, and that’s the copy I’ve been using happily all these years. As I’ve said, my Machen collection is ragtag, but for my tastes you can’t beat the personal association with RLT — me and Tierney, in the Reading Machen Game together. So, I had Knopf yellowback one and two, and as I was dipping into the run of Faunus found reprinted a brand new introduction that Machen wrote for the third yellowback printing, April 1923. I may have known about that intro at one time, but if so it slipped from my active memory as I pursued one thing or another. I prefer the Knopf printings with the new intros, of course. In keeping, then, with my ragtag I-buy-Machen-to-read aesthetic, I suddenly have in hand a one, two, three — one with Xerox inserts, two with new endpapers, three via the medium of a journal. Since I now have two copies of the Knopf House of Souls, I probably don’t need a later printing just to have the intro in that book. 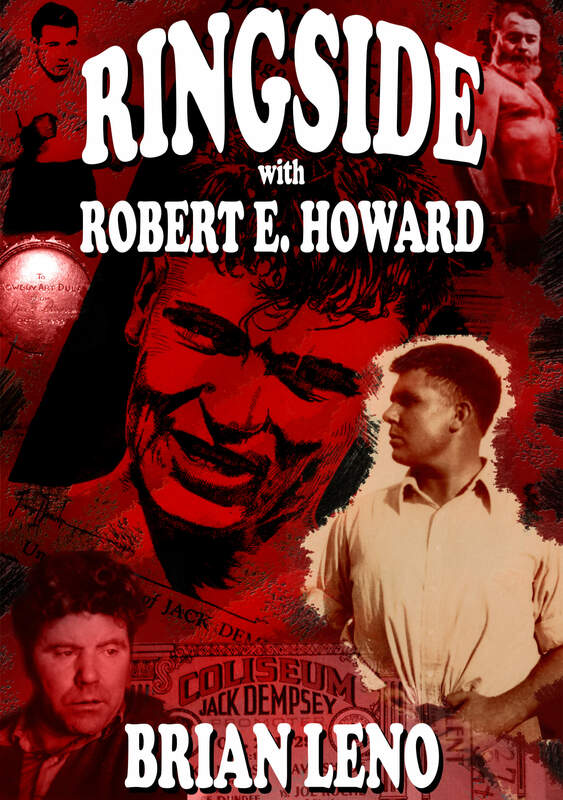 Courtesy the production wizards over at The Cimmerian Press, yesterday Brian Leno popped out his second TriplePunchPack — Ringside with Robert E. Howard. Just an appetizer against the full feedbag of the book he’s working on, an in-depth look into the boxing world known to REH. But it’ll give you a taste. Pieces brooding over the life of Howard, the lives of boxers — Jim Tully and Ernest Hemingway — what happened when Howard’s local fave Kid Dula went to Chicago and cracked the fight card for Jack Dempsey’s first promotion. Ringside with Leno and Howard. Cool. Not to be left out of the Derleth Anniversary action thundering around the internet, Brian Leno sends in some start-of-the-day thoughts. The other night I watched Night Gallery and the episode was “The Doll” by Algernon Blackwood, teleplay by Rod Serling. After reading all the blogs lately about Derleth I started to wonder where Serling might have read the story, then thought it would be kind of cool to tie him into the Arkham House The Doll and One Other. Blackwood’s collection was reprinted a few times before Serling adapted his story in 1970-71. The show aired January 13, 1971. While Night Gallery had quite a few dogs, “The Doll” is one of the better episodes. One reprint fell in 1969, so that’s close. But even if Serling didn’t get the tale direct from Derleth and Arkham House, he did come to it in a roundabout way because of the Wisconsin storyteller. Obviously Derleth — in addition to preserving the stories in print through Arkham House — had something to do with getting these tales onto the small screen. Someone had to okay the rights. 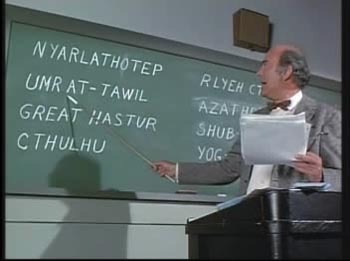 If Derleth had a hand in getting these tales to the television market, and I’m certain he did, that’s where many thousands of people got their first look at Lovecraft and the rest. Who knows how many of these viewers became Arkham collectors? I wonder if Rod Serling was an Arkham collector. At the very least, it’s a safe guess that he opened up a volume here and there to spice up the horror in his anthology series. The “recovering” bit is important to the story. Deuce Richardson kind of tag-teamed with Morgan Holmes yesterday and also put up a birthday post in tribute to August Derleth, of Arkham House, Mycroft & Moran, and others. He’s another guy whose eyes were opened by John D. Haefele’s A Look Behind the Derleth Mythos. Like I was saying, one of the most influential litcrit reassessments of recent years — in my case, it didn’t cause a re-evaluation of Derleth, since I already knew the score (see “The Dark Barbarian” from 1984). But it popped my eyes wide open to the pivotal role of Frank Belknap Long in the intellectual life of the Lovecraft Circle, pointing out a significant series of interrelated stories from Young Belknapius and HPL that I don’t believe had ever been pointed out before. That’s the kind of litcrit I want to see, not further droning drudgery repeating the same old same. While I’m thinking about it, I had another review appear that is roughly 90% what I sent in — only 85% in the worse case scenario. Cut is my blurb that the book is “novelized history or history-heavy pulp,” which — I mean, what the hell — I like. And my slangy line “Yeah, you know how it plays out, but hanging with Scarface, Lucky, Nucky, Bugs and the gang is always fun” got some toying done to it. Too bad they deleted “Nucky.” Courtesy Steve Buscemi and Boardwalk Empire, I think most people (who’d read this kind of book, anyway) know his name. And he does make a cameo in the action, it wasn’t as if I was just riffing like a gangster-fan wild man or something. As any long time reader, surfer or dipper into The Mean Streets may have noticed, I’m not great on anniversaries — yeah, I hop on the annual birth and death days for Hammett, and usually remember Robert E. Howard’s birthday. Others get some notice now and then. I did get a note reminding me that Dwight Frye — one of my all-time faves, Renfield in the Bela Dracula, little Wilmer in the 1931 film of The Maltese Falcon — was born a couple of days ago 120 years ago. February 22. You get into the right circles, Dwight’s a legend. And today I see that Morgan “The Morgman” Holmes nails down an anniversary tribute for August Derleth of Arkham House for his 110th birthday. Instead of bestirring myself too much, I’ll just link to that one in memoriam The Augman. One of the most fascinating angles is that Morgan mentions that he “was a Derleth hater” until he read John D. Haefele’s A Look Behind the Derleth Mythos, one of the more influential critical assessments of recent years. A game-changer. No Derleth Mythos, no anniversary tribute for old Augie at Castalia House.